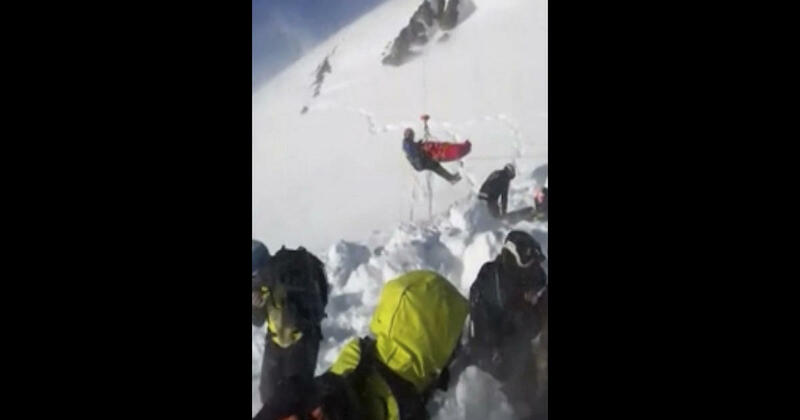 A 12-year-old skier is fortunate enough to be alive after being hit and buried for nearly an hour by an avalanche. Rescuers call the boy's survival – and buried under heavy snow – "a miracle." The incident occurred Wednesday in a resort in the French Alps. The boy was traveling in a disaster with six other skis. He preceded the group as much of the snow cleared the mountain. He was more than 300 meters away and piled under snow. The boy did not have an avalanche detector on him. 5 minutes to save him. After that, the chances of survival sink under the snow. An hour later, the team's rescue dog found the boy. Sergeant Major Raphaël Chauvin, the dog master of the team, said the boy's smell came from the snow and spread like smoke from a chimney. The dog went to the scent and began to scratch. Miraculously, the boy was found alive and conscious. He was safely let out of the air and his only injury was a broken leg. In this attack, which was provided by the validated UGC on Thursday, December 27, 2018, a boy is flown into the French Alps after an avalanche on Wednesday.